Senate Judiciary Committee Chair Chuck Grassley obtained a copy of former National Security Adviser Susan Rice’s email memorializing a January 2017 meeting on June 16, 2017. But Grassley and committee member Lindsey Graham didn’t raise questions about the email, which they described as “unusual” and “disturbing,” until February 8, 2018. It’s unclear why the lawmakers waited almost eight months to address the email, which they suggested was proof of former President Barack Obama’s influence over the FBI’s Russia investigation. 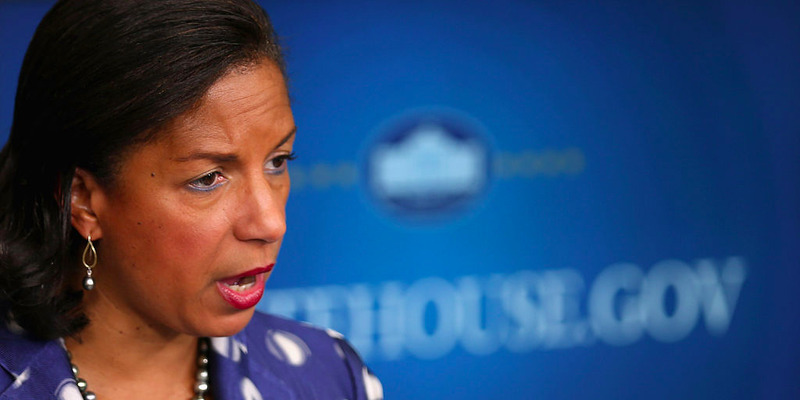 The Senate Judiciary Committee obtained a copy of former National Security Adviser Susan Rice’s email documenting a meeting she had with former President Barack Obama and top intelligence officials eight months before raising concerns about the email, Business Insider has learned. Rice’s email memorialised a January 5, 2017 meeting she attended with Obama, then-Vice President Joe Biden, then-FBI Director James Comey, and then-Deputy Attorney General Sally Yates. According to the email, which Rice sent to herself on January 20, 2017, Obama suggested that intelligence officials be cautious when sharing information related to the FBI’s Russia investigation with the Trump transition team. The meeting came as the intelligence community was assessing Russia’s interference in the 2016 election and whether members of the Trump campaign had colluded with Moscow. By that time, multiple senior members of the campaign had been in contact with high-ranking Russians, including incoming national security adviser Michael Flynn, incoming Attorney General Jeff Sessions, and senior adviser Jared Kushner. Senate Judiciary Committee Chair Chuck Grassley received a copy of Rice’s memo on June 16, 2017, according to records obtained by Business Insider on Thursday. But he and Graham didn’t publicly voice their concerns about it until February 8, 2018. In a letter sent to Rice, the lawmakers said it was “odd” she felt the need to send “such an unusual email purporting to document a conversation involving President Obama and his interactions with the FBI regarding the Trump/Russia investigation” to herself on her final day as an Obama administration official. Graham later added that the email was “disturbing” and suggested it was evidence that Obama interfered in the Russia probe in an effort to undermine Trump. Given their concerns about the email, it is unclear why Grassley and Graham waited eight months before addressing the matter with Rice. Their representatives did not respond to multiple requests for comment. Last week’s letter was the first time the lawmakers had publicly or privately raised questions about the email, according to two people with knowledge of the matter. Grassley and Graham said in their letter that they had asked the National Archives and Records Administration (NARA) for all records of communications between Obama and Comey regarding the Russia investigation. A copy of Rice’s email attached to the letter contained a stamp saying it was partially declassified on June 13, 2017. But it wasn’t initially clear whether it had been declassified specifically in response to the lawmakers’ request, and whether Grassley and Graham received the email then, or at a later date. According to the National Archives’ communications with Grassley, however, he sent an initial records request to the White House counsel, Donald McGahn, on May 17, 2017 – the same day special counsel Robert Mueller was appointed to oversee the Russia probe. He later asked NARA for the records on May 24, 2017. NARA sent Grassley a declassified version of Rice’s email on June 16, 2017, less than a month after he made the initial request, and three days after it was declassified in part. A person familiar with the matter confirmed to Business Insider that the email was declassified in response to Grassley’s request. In addition to Grassley and Graham, Senate Judiciary Committee ranking member Dianne Feinstein and Sen. Sheldon Whitehouse were copied on NARA’s response. A classified version of Rice’s email was sent separately to the Office of Senate Security last June. Legal experts and counterintelligence veterans largely agreed that they could see no reasonable justification for why Grassley and Graham would hold off for eight months before acting on what they described as an “unusual,” “odd,” and “disturbing” email. Cornell Law School vice dean and criminal law expert Jens David Ohlin also put it bluntly. “If they held this in their back pocket, and brought it out at a strategic moment to maximise its impact, that would suggest a level of political gamesmanship that is conduct unbecoming [of] senior members of the US Senate,” he said in an email. Grassley and Graham are among several prominent congressional Republicans who are conducting parallel investigations into alleged FBI misconduct as the Russia investigation heats up. Their letter came on the heels of a controversial memo the House Intelligence Committee released earlier this month, which purports to show the FBI and Department of Justice abusing their surveillance authority to monitor former Trump campaign adviser Carter Page. Grassley and Graham asked Rice a number of questions related to her knowledge of the FBI’s Russia investigation; her knowledge of the October 2016 FISA applicationto surveil Page; whether anyone else at the January 5 meeting memorialised the conversation; what the attendants discussed regarding ex-British spy Christopher Steele and the Steele dossier; and the extent of Obama’s involvement with top officials to discuss the Russia probe. Rice’s lawyer, Kathryn Ruemmler, issued a rebuttal to the Grassley-Graham letter earlier this week. Ruemmler also disputed the letter’s claim that the meeting included discussion of the Steele dossier, an explosive collection of memos alleging Trump-Russia collusion. The FBI is said to be using the dossier as a “roadmap” in its Russia investigation. January 5, 2017: Rice meets with Obama, Biden, Comey, and Yates. January 20, 2017: Rice memorializes the meeting in an email to herself. May 17, 2017: Grassley asks McGahn for records of interactions between Obama and Comey about the Russia investigation. May 24, 2017: Grassley makes the same request to the National Archives. June 13, 2017: Rice’s email is partially declassified in response to Grassley’s request. June 16, 2017: The general counsel at the National Archives responds to Grassley’s request with a copy of Rice’s email. February 8, 2018: Grassley and Graham raise concerns about the email in a letter to Rice.